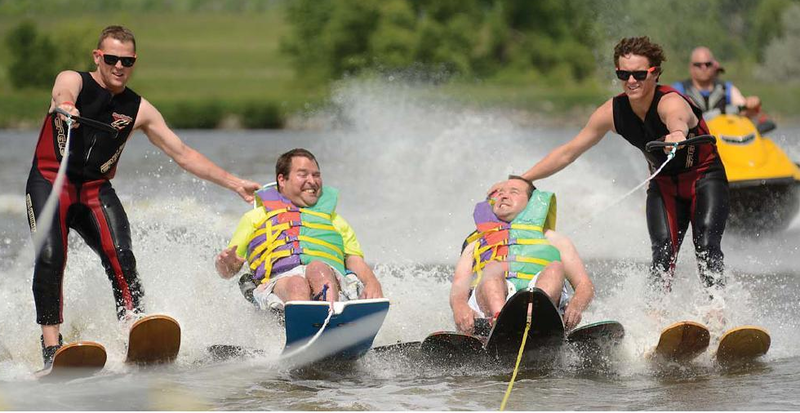 The Escape to the Lake Adaptive Water Ski event is for people with physical and/or mental disabilities to experience the thrill and excitement of skiing on the water. The Aqua Addicts will provide all necessary skiing equipment and support personnel to teach and help willing participants. We are happy to provide this event free of charge to all participants. Please contact us if you are interested in participating or know someone that may be interested in participating. You will need to sign up in advance so you know what time you are scheduled to ski. Please help support this event by making a donation.